Human resources is one of the most overlooked areas of business, but one of the most critical elements. 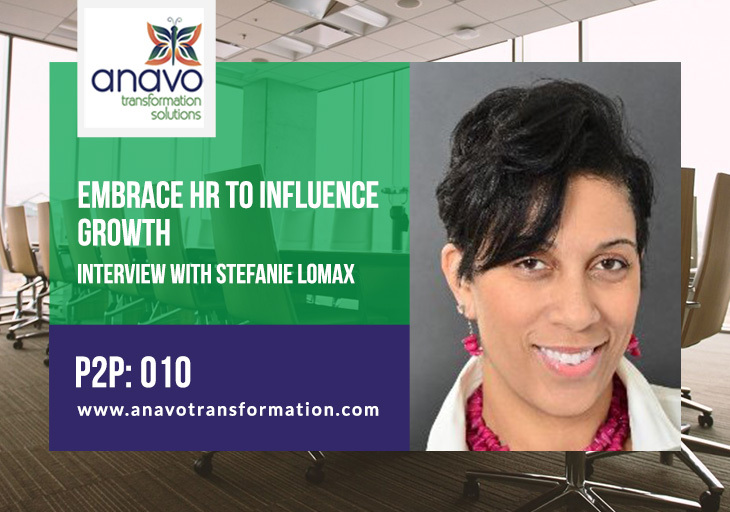 Stefanie Lomax is here to help you understand how you can embrace HR to benefit your business. Stefanie works with small to mid-size businesses with their HR departments and strategies. She also works with individuals who are mid-career and might be looking to make a change but aren’t familiar with the landscape. Stefanie and I met over 10 years ago. I can speak first hand to her expertise as she’s helped me shift my business when I needed to do some outplacement within my own company. If you’re not familiar with outplacement, it’s a supportive way to transition an employee out of the company in a positive light (helping them find another job). A few of the ways this helps the small business owner is you can save on unemployment costs, potential law suits, and cobra costs for medical. It also sets the company and business owner in a positive light. Stefanie’s “EMBRACE” system is a 7 -point system that makes it easy for companies to embrace transparency and evaluate where they need to improve and how they can best support their employees. Outplacement helps to lessen the blow and is a win-win for the employee and employer. Can you talk about what attrition is and why you need to measure it? How can an organization get comfortable with transparency & accountability? How do you help a company embrace HR? When should an organization look at hiring an expert such as yourself? Companies are not good at communicating bad news to employees. This is one of those interview you might want to grab a pen & paper for. Stefanie absolutely over-delivered and gave a great foundation for embracing HR and when you should look at hiring an expert such as Stefanie.